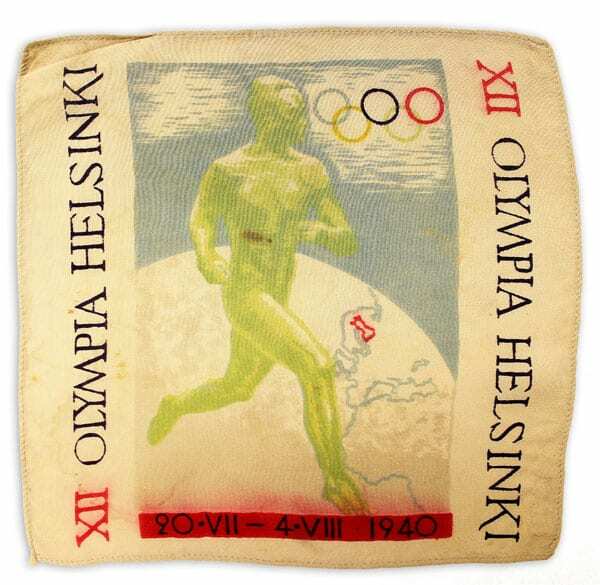 Description: On a white cloth a globe of the Earth with Finland marked on red, and the Olympic rings on a blue sky. On forefront the running statue of Paavo Nurmi in green. Below the globe the dates of the Games: 20. VII–4. VIII.1940.